Today's post was brought to you in partnership with Green Works. Do you have daughters and/or sons that love science? I do... but I didn't grow up loving science... or even liking it really. My memories of science when I was in school are labs filled with old men in white jackets that I didn't connect with or relate to. Now I LOVE anything and everything related to science partially due to the amazing female bloggers I have connected with over the past few years and wonder if things would've been different if I'd had a teacher or mentor I related to growing up that was passionate about the sciences. 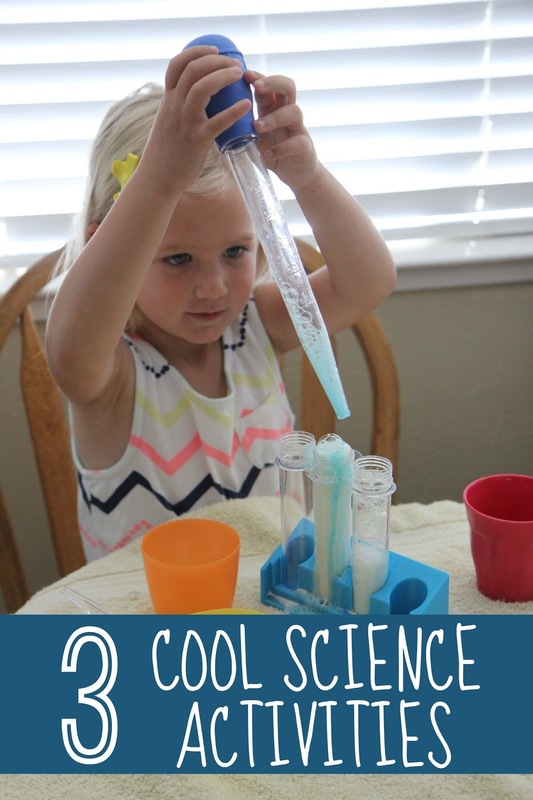 Now as a mom I love to find ways to embed science activities and experiments into our day along with other STEM (science, technology, engineering, and mathmatics) activities. We are constantly on the hunt for local STEM related events, camps, or field trip spots and I have enjoyed seeing my kids (especially my daughter) grow up with a different feeling about the sciences than I did. Because I didn't grow up loving science (or math) I am consciously trying to make sure that my kids learn to love it (or at least like it). 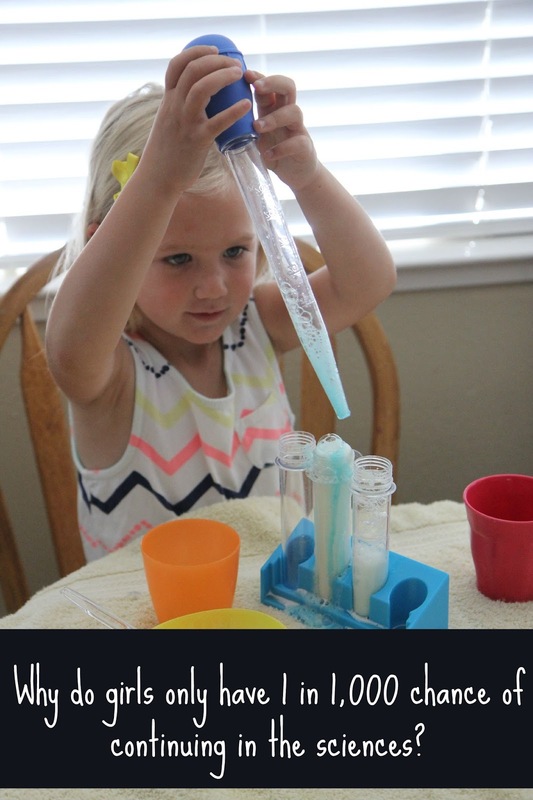 One way that I do that is by embedding playful science experiences into our day and finding other ways to incorporate STEM activities in our home. I am really excited about Green Work's #NaturalPotential campaign to disrupt the norm and engage girls and inspire them to explore careers in science. We set up vials of dish soap and water and vinegar and oil and even sometimes liquid watercolors and let kids start experimenting! We often add in baking soda to create some eruptions. Through trial and error kids learn that their test tubes will erupt more slowly if they add a bit of dish soap to their baking soda and vinegar combinations. Kids also learn that oil will float to the top of their concoctions and that the water and oil will separate. Watching them figure out these things and then duplicate them again and again is so fun and I love the lively discussions we have as we debate what might happen... and then watch and see what actually happens. We also like to add in some dish soap and see how that changes things! This rain cloud in a jar experiment that we learned from Growing a Jeweled Rose is a favorite. 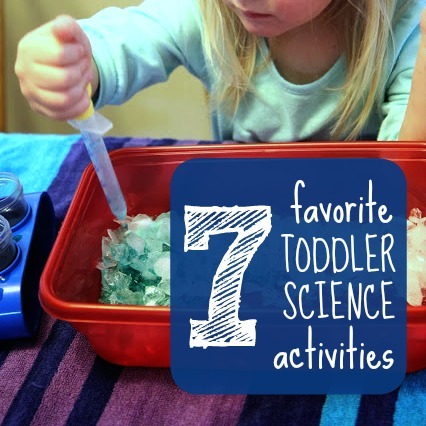 We did it recently at my daughter's Preschool Science Day and it was a hit. You need shaving cream, water, food coloring, and pipettes. Head on over to Growing a Jeweled Rose for the full tutorial. 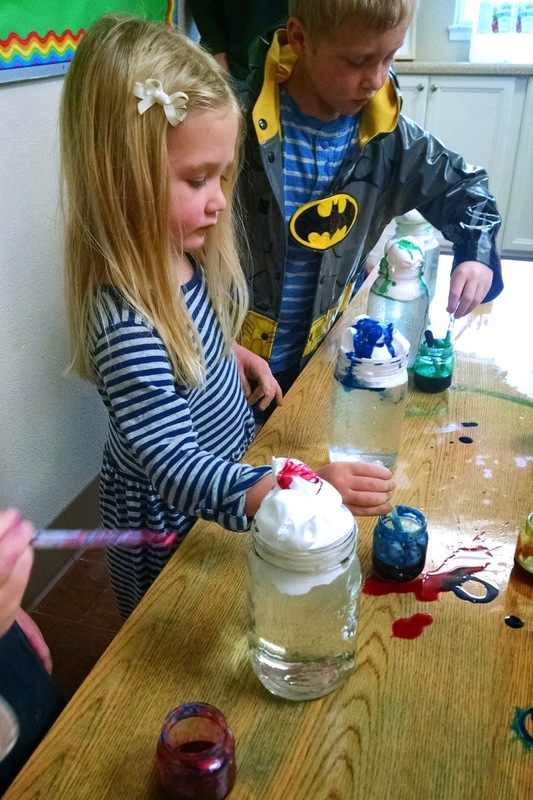 It is definitely messy but such a cool way to learn about rain and how rain clouds form. Lastly, one way I have learned to love science more is by pairing it with another thing I am passionate about... ART! I think it is important to teach girls that they can do anything and be involved or passionate about more than one thing. Watching as salt and liquid watercolors react when my daughter creates a glue/salt/watercolor creation is awesome! Testing out what happens when we add more color or less or more salt is fascinating and we both love how we end up with a gorgeous creation as well. We love to do salt painting variations for every holiday! To make salt and watercolor art you just create a picture with glue, add some salt to the top, shake off the excess, and then use a paint brush or dropper to add liquid watercolors to the salt picture! It is so neat to see the vibrant colors as they move across the salt! Green Works, the naturally sourced cleaner, is supporting girls in STEM (science, technology, engineering, and mathematics) programs to help the next generation of female scientists unleash their power and discover their #NaturalPotential. Inspired by their own female scientist founder, Green Works is collaborating with the American Association of University Women (AAUW) to engage girls and inspire them to explore careers in science. Learn more about Green Work’s initiative with girls in STEM by watching this Nurturing Natural Potential video. I think it is inspiring!! You can also find more cool ways to engage girls in STEM over at Green Works. As part of our partnership with Green Works they sent me some compostable cleaning wipes to try out. This worked out great since our science activities are MESSY! I loved explaining to my daughter that a scientist who likes to create and experiment (just like we do) created this new-to-us product. The wipes smell good and did a great job cleaning up our table covered in liquid watercolors, baking soda, soap, and salt! Do you love science? Did you grow up feeling that way? Did you ever want to have a career in the sciences? How do you engage your kids in STEM activities? Come join our conversation about this over on the Toddler Approved Facebook page or comment at the end of this post. 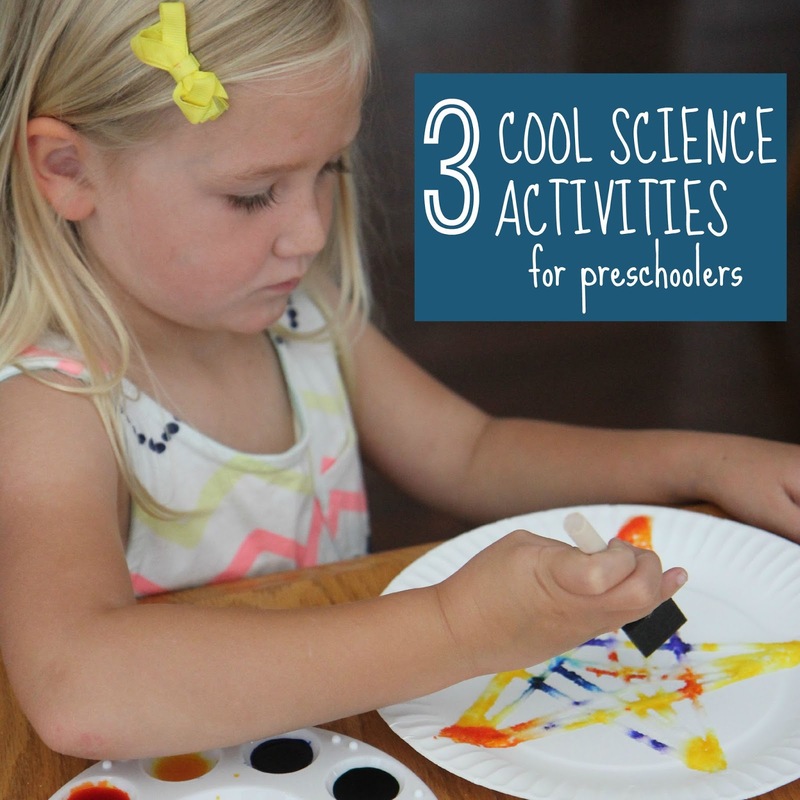 Find more of our favorite science activities HERE. This post was sponsored by Green Works. All opinions are my own. I love these, Kristina! I don't even know where to start lol. The star salt looks awesome and something my kiddos would love to do. Plus we have those supplies. Thanks for the great ideas!